When your boyfriend or hubby is on his cloudnine celebrating his joyful occasion which may be his promotion, new job, salary hike, or foreign trip or it may be anything, sending them a picture of wish with congratulations message, can make their day a most memorable one. 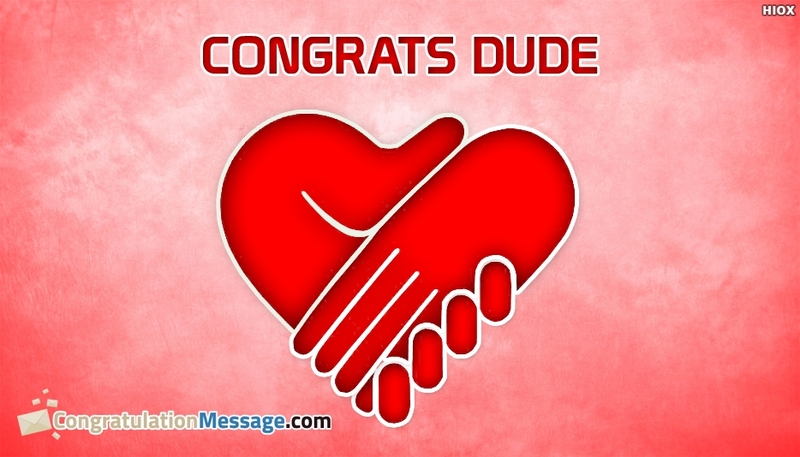 Here is a beautiful picture which says "congrats dude" on an elegant design to share with him on his happiest moment. The ecard can be downloaded for free and make your loved one happy.